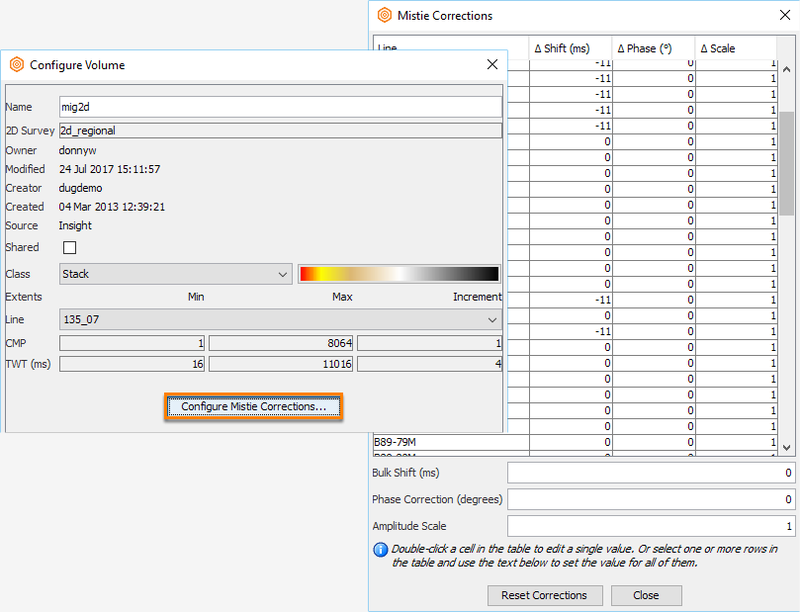 Access the mistie correction settings through the Configure Volume panel. In the Volume tab of the Control Panel, right-click a volume and select Configure Volume. 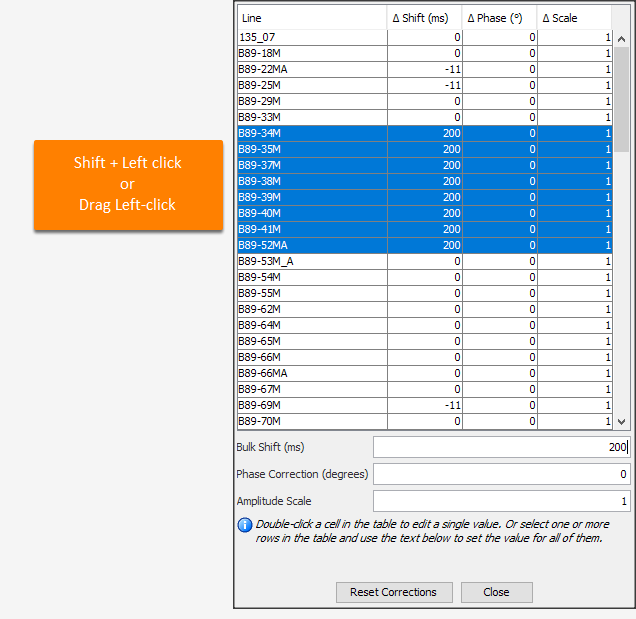 Click the Configure Mistie Corrections button to open a spreadsheet showing all the bulk shifts, phase corrections and amplitude scalars applied to each line. Click on a row and enter values for the corrections to apply to that line. You can edit the values in the spreadsheet or in the fields below. You can also edit multiple lines at the same time. The controls are the same as Windows: Ctrl+Click to select several individual lines; Shift+Click first and last line to highlight a series. Update the selected lines by entering the mistie corrections in the fields below. At the bottom of the panel, there’s a button for resetting the corrections. This applies to all lines in the list, resetting the corrections to their defaults. This is extremely handy for removing corrections applied by the automatic correction process. 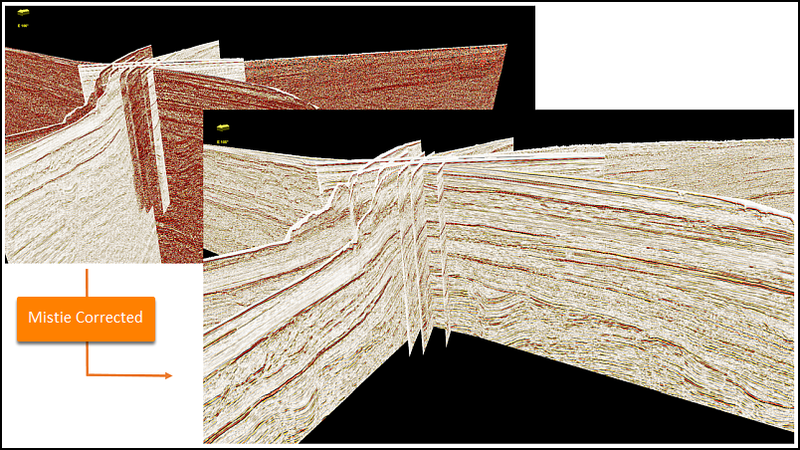 Getting your 2D lines tied correctly makes it much easier to work with your data!